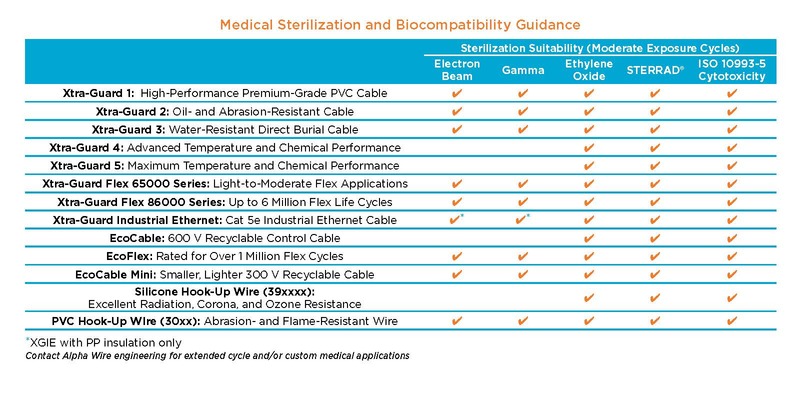 Selecting the right cable and wire solutions when designing the latest medical devices is paramount to ensuring that your products continue to earn a reputation for quality, reliability, and performance. Our wire, cable, tubing, and accessories allow you to create the critical interconnections for signals and power—with the performance you need and the reliability you require. Our EcoGen products are smaller and lighter than standard PVC product and contain zero halogens, phthalates, or heavy metals. Alpha’s micro coaxial cables are a great space-saving solution that makes routing easier in applications such as medical probes, endoscopy systems, oximetry systems, industrial inspection, and more. The all new ThermoThin hook-up wire is available in conductor sizes from 36-16 AWG, offering a high temperature solution with elemental resistance.